It’s that glorious time of year: school fundraisers. This year I have two separate galas with two different themes. Roaring twenties = I could do that in my sleep. Bizarre Bazaar = let’s just say do not google that phrase for inspiration if you are at the office. So does one go out and purchase a vintage stole and some fur antlers? The answer is: you’d be surprised what you can find in your friend’s closets. 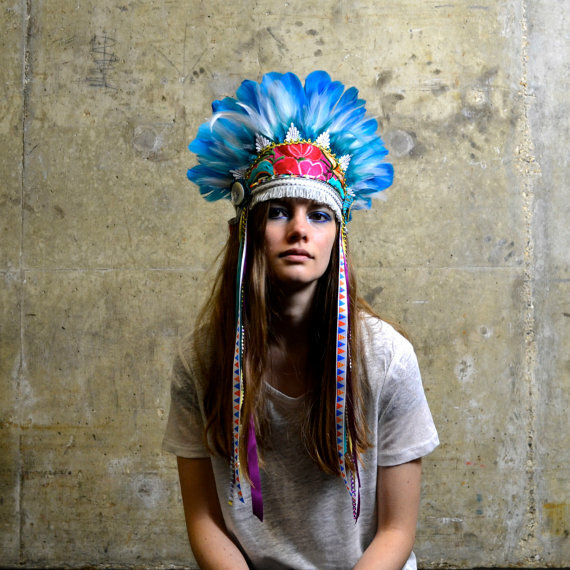 Below, a super amazing headdress I wish I could sport but will not because it’s too un-PC for a multi-cultural school setting. But maybe I need one for another event on October 31st.